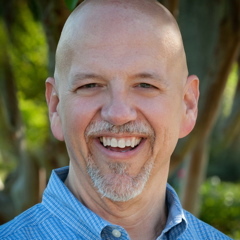 Since the year 2000, D. Alan Folsom has served in ministry roles at the Georgia Baptist Convention; first he was Consultant with the Sunday School/Open Group Ministires and now serves as Specialist for Discipleship Ministries. The focus of his present work is assisting churches and associations to be strategic in the process of disciplemaking. Before coming to the Georgia Baptist Convention, he served for 15 years as a minister of education, and other staff ministry roles in churches in Georgia and North Carolina. In addition to experience, Alan has trained for ministry by earning a Doctor of Ministry Degree in Evangelism and Church Growth and a Master of Divinity with Christian Education. This combination of experience, education, and passion for ministry helps him assist churches and associations to be strategic in the process of disciplemaking. If your church is in Georgia and you could benefit from Alan's assistance, click here to learn more!